Thousands of additional audiobooks and eBooks are also available for download at http://vermontstate.rbdigital.com. Titles listed are always available with unlimited number of simultaneous check-outs and all titles are compatible with iPods. Users will need to set up an account with One-Click Digital using their patron barcode from the back of the library card. Look for the “Register” link on the right side of the page. The Vermont Online Library offers a wide range electronic information databases on a variety of topics for all age levels, for generalists as well as specialists. Its information is from well-known and trusted publishers and licensed by the State of Vermont from the Gale Group and H.W. Wilson. These resources are available 24 hours a day from any computer with internet access, not just your library. A few of the resources include the Chilton Library (automotive repair), Health and Wellness, PowerSpeak (foreign languages), Newstand (full-text newspapers), Career Transitions (career advice, including job search strategies) and many more. Access over 500 online non-credit continuing education courses at Universal Class. Users will need to set up an account using their case sensitive patron barcode from the back of their library card. Click here for a list of every Vermont public library that has a web presence. Click here for recommended websites for research from the Vermont Department of Libraries. The Vermont State Library provides a full access subscription to Ancestry.com for those visiting the State Library. Vermont residents can also research Vermont birth, marriage, and death records from 1909-2008 on Ancestry.com for free if they first sign up for a MyVermont.gov account. 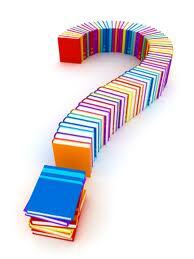 The Frequently Asked Questions page provides information on how to access these records. Family Search contains some, but not all, Vermont birth, marriage, and death records in the state registry from 1760-2003. The Vermont Digital Newspaper Project provides the ability to search thousands of pages of historic newspapers from around the state. Cyndislist.com provides thousands of genealogy related links. If you are looking for an obscure document or list, this is the place. The Ellis Island website requires free registration and provides passenger lists. Obituaries.com allows searching of obituaries from the United States and some foreign countries. The sites below might be of use to you as you search for you next great read (or listen). Some of them make suggestions based your past favorites; others direct you based on your current mood or style preferences; while others put award lists or other recommended or new title lists in front of you. So what’s next? EarlyWord: Used by librarians to see what’s coming.